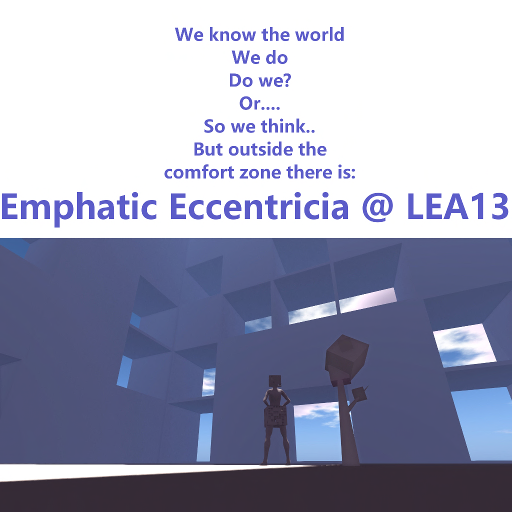 Emphatic Eccentricia was founded to give virtual and mental space for people to develop their creative skills. At our LEA13 presence we have OhMy Shalala's wonderful atmospheric land of fairytales, A throw back to pre Gutenberg times with Vian Magic's Chained Library, and the surreal and violent calm of Veleda Lorakeets Cubimatrix 147. And that is not all in this maelstrom of creativity!